How Much Does a Divorce Cost? The Answer is Less Scary Than You Think. It is a question nearly every spouse asks a family law lawyer before a divorce. Based on what we have heard and seen in the industry, there are plenty of other attorneys who will not want to answer it. Sure, an attorney can state, “I don’t know” to the divorce cost question, but does that really help? In this article, our family law firm will provide you with some of the main factors that control what a divorce may cost. So, “how much does a divorce cost” does not have to become a daunting question and does not have to lead to a frightening answer. We will discuss how much a divorce may cost if the matter is uncontested, how much a divorce may cost if the matter is contested and then list for you the aspects of each that could drive up or drive down the divorce cost. The one universal truth you will learn about the cost of divorce is this. What we list, below, only applies to California divorce cases. Also, the numbers and estimates of divorce cost we provide here are very general estimates based on hypothetical situations so it is not intended to apply to your specific situation (or any specific situation) since we obviously don’t know about your situation. As such, the cost for your divorce may be significantly higher than what is generally listed here. This article is not legal advice. If you have or will have a divorce matter in Southern California, please contact us for a strategy session. How much does a divorce cost if the matter is uncontested? You have a lot more control over how much a divorce costs than you think. The U.S. Census Bureau hasn’t updated its numbers in a while but let’s take what we consider to be a middle-upper class family who lives a comfortable life in Orange County. Let’s assume the following hypothetical. You have been married for 8 years. You have a house that is community property. The house has $100,000.00 equity in it. You make $100,000.00 per year and you are a W2 employee. Your spouse makes $40,000.00 per year and your spouse is a W2 employee. You and your spouse are both 9am to 5pm employees with predictable work schedules. You have 2 kids, ages 3 and 6. Each of you has a 401k and you each have a car. You have a little bit of money in the bank. You and your spouse want to separate. You are not sure what will happen with the kids and you two have talked about it but haven’t reached an agreement. Now, with those facts come the question – How much does a divorce cost? What paperwork is included in this divorce cost estimate? A divorce petition is filed. A response to the divorce petition is filed. Discovery (formal request for information) is not needed because there are no complex issues in the case. Any request that causes court date to be set is not filed. No time is spent in court or preparing for court. No disputes between the spouses and no expert witnesses are needed to determine income for support purposes, valuation of any asset, or any other issue. There are no complex issues in the case. Both spouses, with their respective lawyer’s help, prepare the mandatory declaration of disclosure (which is a comprehensive set of documents) and they are prepared properly on the first attempt. That means there is not any back and forth in preparing it and both are accurate and complete. Settlement negotiations go very smoothly. One of the attorneys prepares the stipulated (agreement upon) judgment that contains settlement terms. Finalizing that judgment doesn’t involve back and forth between spouses and lawyers. The above is part of the California divorce process on most simple, uncontested divorces. Now, let’s get to the actual time estimates. How much does the child custody portion of this divorce cost? Both of you work full-time. Both of you are good parents, right? Therefore, you should be able to agree to joint custody and divide visitation 50/50 or close to it because both of your kids are in school and both of you have schedules that will allow you to pick up your kids after school or after a short after school care. Percentages matter less than quality time. Therefore, how much time will go into drafting a child custody stipulation (agreement) and order? So long as you and your spouse don’t have any back and forth, that should be around 2-4 hours of time. At an attorney rate of $400 per hour, that is about $800 to $1,600. The more back and forth, negotiations or disagreement, the higher the cost. How much does the child and spousal support portion of this divorce cost? Since both of you are W2 employees, California child support calculation is easy. It’s a computer program that we use to figure that out. There is an income difference so alimony may be a factor. Experienced divorce attorneys know better than to put up a fight over alimony as a result of income like this so the computer program will assist in calculating alimony on a temporary basis and everyone can sit down and figure out the marital lifestyle to figure out what alimony will be for 1/2 the duration of the marriage. Let’s assume there have not been wild fluctuations during the marriage of either spouse’s income. If there has not been, then marital standard of living becomes easier to determine. With straightforward, minimal negotiations and little to no disagreement, figuring out child and spousal support should expend around 3-5 hours of time. At the same $400 per hour rate, that is about $1,200 to $2,000. How much does the division of assets and debts of this divorce cost? What about division of assets? And how about division of debts? $100,000.00 equity means you each get $50,000.00 if there is a buyout. Do either of your 401K plans have enough money in them so we can offset that and one can buy the other one out? If so, that is one potential solution. If not and there is no way to buy out the other, the house likely will get sold. Money in the bank as of the date of separation which is community property usually gets split 50/50. If there are debts incurred during the marriage that are community debts, those get split 50/50. We can offset money here and there to avoid liquidating property. How much does this aspect of a divorce cost? Again assuming short and very smooth negotiations, this is around 4 to 6 hours of attorney time. At $400 per hour, that is the same $1,600 to $2,400 range. How much does a divorce cost under this ideal, uncontested scenario? $3,600 to $6,000 is the average, estimated number although the ultimate number may be higher. The less disagreement and the smoother the spouses and lawyers work together, the less the cost. The more back and forth, and there is a greater likelihood the cost will exceed the $6,000 number. You may be wondering if that cost estimate is for each spouse or both. That is a tough question because sometimes one spouse’s attorney does more of the work (for example, the initial judgment preparation), compared to the other. Therefore, it is more likely each spouse will separately spend the above amount although how much each spouse spends will very likely be different. How much does a divorce cost in the same hypothetical if there are disputed issues? We gave you an ideal scenario where the spouses and lawyers work toward resolution and there is little to no back and forth. Let’s go through several different types of disputes or issues that may arise which may impact how much a divorce costs, even if there are no court dates set and there is no litigation over the issues. The following assumes the same factual hypothetical as stated earlier in this article. How much does a divorce cost under this scenario if there are custody disputes? How much does a divorce cost if the spouses did not initially agree on custody and there were negotiations between the lawyers? Take that same $400 hourly rate and assume, as a hypothetical, there were 5-6 hours of negotiations through letters, phone calls and revisions to drafts of stipulations, back and forth. That, by itself, could increase the attorney fees, possibly for each spouse, $2,000 to $2,400. The longer and more drawn out the negotiations, the more expensive it gets. These negotiations can take many forms. Whether it is the parenting time, legal custody terms, holiday or vacation schedule, or other aspects of it that are in dispute does not matter. What matters is the time commitment to those issues because attorney time directly impacts how much a divorce costs the spouses. How much does a divorce cost under this scenario if there are child support or spousal support disputes? Disputes over child support with two W2 employees who agree on custody and parenting time are rare. That is because parenting time percentage and income are the two most important child support factors. But with spousal support, it’s a different issue. The spouses may disagree on the marital standard of living. The spouses may disagree on the spousal support’s duration. The higher earning spouse may claim the lower earning spouse is underemployed. 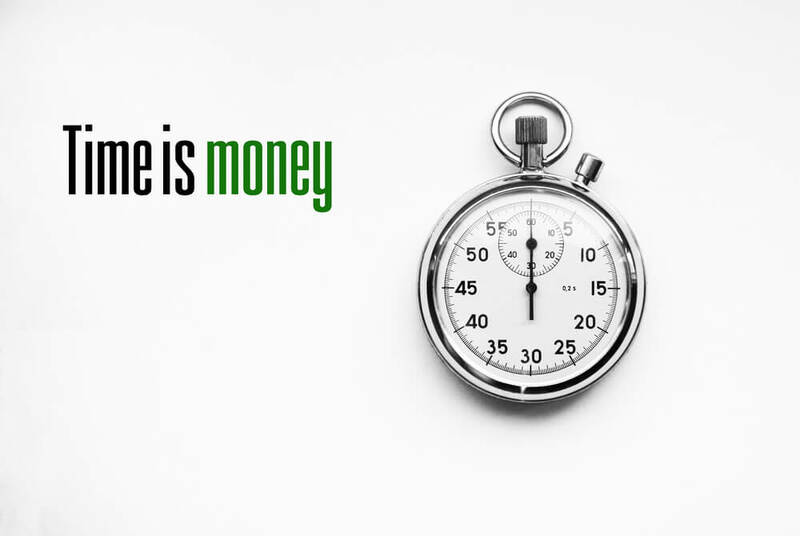 Spousal support negotiations can consume hours of time and every hour of time equates more attorney fees. There is simply no way to estimate that here but you can do the math for yourself – how much does a divorce cost if an additional 5-10 hours of time is spent on spousal support negotiations? At the $400 per hour rate, the answer is $2,000 to $4,000 and those are rough estimates of time. We have seen negotiations go well beyond those time estimates. How much does a divorce cost under this scenario if there are disputes over division of assets or debts? How much does a divorce cost if the spouses cannot agree on whether the house will be sold or one spouse will buy the other one out? This is a common source of disagreement between spouses. Some spouses become highly emotional regarding the house. Such spouses cannot imagine a scenario where they don’t get the house in the divorce, especially if the spouses raised their children at that home. But what happens if a buyout is not practical? It’s one thing to have the assets to offset the equity but if both spouses are on the loan and one spouse cannot refinance the loan to remove the other, does it really make sense to settle for a buyout? Does one spouse really want to remain on the loan even though he or she no longer owns the home? These types of issues can cause a lot of negotiations. One or both spouses may insist on an appraisal to determine the fair market value. Even after appraisals, there may be disputes because one spouse may want more or the other spouse will want to pay less. The house may not be the only source of a dispute. What if one spouse claims the house was purchased with separate property funds. The scenario we see is when a downpayment is made with one spouse’s premarital money. This can result in a Family Code 2640 claim by that spouse for reimbursement of that downpayment before the remaining equity is divided. These are just a couple of examples of disputes that may occur in divorce cases. How much a divorce costs is greatly impacted by the nature of these disputes and the time commitment that goes into their resolution. We have seen 10 – 20 hours or more time expended on such issues, not just in negotiations but also in drafting judgment language that is not simple and straightforward because of such issues. Many times, a retirement (pension, 401(k), etc.) has to go through some type of domestic relations order to be properly divided. Our family law firm, like many others, refers such domestic relations orders to other attorneys who have a focused law practice in preparing and handling such domestic relations orders. The cost for such domestic relations orders vary. We have seen them as low as $750 and as high as $1,500 to $2,000. The attorneys we use are affordable and reasonably priced for such domestic relations orders. How much does a divorce cost if the divorce becomes truly contested? Let’s assume the same factual hypothetical as the one we gave, above, but with one major change – the divorce actually becomes contested. We are not referring to just extended negotiations but actual litigation. Litigation may include the service of discovery, disclosures that may be incomplete and require discussion, child custody disputes that may involve court filings, etc. How much does a divorce cost in such a scenario? Let’s break it down with the following estimates. These estimates may be very different than what your divorce may cost. How much does a divorce cost if the spouses serve discovery requests? Discovery is the formal request for information. Discovery may include family law form interrogatories, requests to produce documents, specially drafted interrogatories, requests for one spouse to admit certain facts as true and even an oral deposition where a spouse’s testimony is taken under oath. If one spouse wants information from a third party (such as a bank, credit card company, a spouse’s employer, etc. ), that spouse, through his or her lawyer, may serve a subpoena. The discovery process on a simple divorce may become time consuming, especially if there are disputes over custody, parenting time and the nature and extent of the assets. Family law firm interrogatories are straightforward as they are pre-printed, check the box forms. They are easy to check those boxes and serve. However, answering them may take hours of time. The amount of time spent on requests to produce documents depends on how many requests are served and what is needed. One of the challenges of divorce litigation is not knowing what the other spouse knows. The more secretive or unreasonable one spouse is about assets or debts, the more discovery may be needed to flesh out information. Drafting these requests to produce documents may take hours, although most experienced family law firms have certain templates they use for standard requests. Responding to such requests may take significant time. The same is true about special interrogatories and request for admissions. Request for admissions may become especially time consuming because the drafting laws associated with them are very strict. The cost to respond to them depends on how many requests there are. Depositions are a very effective method of obtaining information from an unreasonable spouse. Depositions are also an excellent way to flesh out a spouse’s misrepresentations, false allegations of abuse and related misconduct. A deposition is typically 7 or less hours on the record. You can just assume that’s a full day because there are usually breaks in between. Deposition preparation can also take hours. The court reporter who attends and transcribes the deposition typically charges per page and the deposition length controls its court reporting price. Just the court reporter cost for a full day deposition can range from $1,300 to $2,500, depending on the number of transcript pages. Subpoenas may be simple and take less than 1-2 hours, especially for something as straightforward as employment records. More complex subpoenas take more time. Discovery requests and responses are not the only divorce cost. Discovery disputes may involve letters (called “meet and confer letters”) between lawyers. These meet and confer letters are communication between lawyers about incomplete or otherwise deficient discovery responses. If the lawyers are unable to resolve the issues, the lawyer who initiated the meet and confer process may file a motion to compel. A motion to compel can take 5-10 or more hours of time to prepare. A motion to compel hearing, like most family law hearings, can take half a day to a day, depending on the court’s calendar on that date. How much does a divorce cost if the spouses have disputes over the disclosures? Spouses sometimes have disputes over the accuracy or completeness of disclosures. One spouse may dispute what the other declared in his or her income and expense declaration. Lying on an income and expense declaration is serious and may lead to dire consequences for the lying spouse. One spouse may also dispute the accuracy or completeness of the assets listed on the schedule of assets and debts. Whatever the dispute may be, this could result in a meet and confer process between the lawyers. In our experience, if the spouses cooperate in correcting the deficiencies, this process can be completed within a few hours of time, or less. The more unreasonable one spouse or both spouses are, the more time consuming the process becomes. How much does a divorce cost if the spouses have disputes over child custody and parenting time? This one is nearly impossible to estimate because it all depends on the extent of the litigation. For example, if the spouses only have a dispute over parenting time (one spouse wants 50/50 custody, the other does not), that can hopefully get resolved in one court appearance and sometimes before court, at mediation. Unfortunately, that court appearance first requires one spouse to file a request for order with the court, state the nature and extent of that spouse’s position and have a court date assigned. Then, the other spouse files a responsive declaration. There may be other paperwork filed such as witness lists, exhibit lists, etc. This entire process may cost thousands of dollars in attorney’s fees. We have seen parenting time disputes cost under $5,000 for up to one court appearance, just as we have seen it cost much more. How much does a divorce cost if the spouses have disputes over child and/or spousal support? With two W2 employees, child support should not result in much of a dispute. Once the spouses determine parenting time (either through an agreement which becomes a court order or a contested hearing where orders are made), the rest is usually easy. Spousal support on a temporary basis is also usually straightforward because temporary spousal support in the hypothetical we provided will likely also be a computer program. Since support related disputes typically piggy back in the same paperwork and at the same hearing as custody and parenting time, the time commitment isn’t too bad. Of course, some of that depends on the spouses and whether there are issues of imputation of income and whether one spouse actually wants a vocational examiner appointed to the case. Click on the article link in the preceding sentence to learn more about the vocational evaluation process. How much does a divorce cost if there are date of separation disputes? Date of separation disputes in California divorces are common. That is because the date of separation can make a significant impact in analysis of community versus separate property, spousal support and other issues. If the spouses cannot agree on date of separation and they actually litigate it, the Family Court may set that issue for a hearing. Depending on the number of witnesses, exhibits and evidence involved, a date of separation hearing may cost thousands of dollars. How much does a divorce cost if the divorce actually proceeds to a trial? Trials are the most difficult part of a case to estimate. There is simply too much that goes into them. Again, using the same hypothetical as above, you would hope trial would not be complicated nor lengthy. But if the spouses agree on nothing and every issue goes to trial, tens of thousands of dollars may be spent on attorney’s fees and costs. We encourage you to read our informative guide on California divorce trials. Can I recover some or all of the divorce cost from my spouse? If you are a middle class income divorce with minimal custody issues and your spouse is just being difficult, your divorce will cost you more to complete but you also have rights pursuant to Family Code section 271 to get attorney fees and costs against your spouse for that unreasonable conduct. You don’t have to wait until the end of the case. You can seek these attorney’s fees in the form of sanctions early in the case. Our attorneys know this first hand because we have been successful in doing exactly that. If there is also an income disparity or disparity in access to money between you and your unreasonable spouse, then, in addition to Family Code section 271, you also have a “need” for fees. Family Code 2030 through 2032 gives a spouse the right to seek attorney’s fees and costs. Our attorneys have also successfully obtained such fees against spouses with a greater income. If you are the higher earner and your spouse (the lower income earner) is being unreasonable, you also have rights. Don’t fret just because you think you make more money. How much does a divorce cost in a high asset or high contention case? Here is the bottom line. It all depends on what the reason for the fight is. If you have a $1 million estate and the dispute between you and your spouse is $100,000.00 of that, you and your spouse would be pretty foolish to spend 6 figures to fight over it. If you have a $10 million dollar estate and you have millions of dollars in dispute (over whether it is community or separate or over income and support), then you may spend a lot more money over that type of high asset divorce case. So how much does a divorce cost with facts like these varies greatly from case to case. Thus, since cases like this are very unique to their facts, a consultation with an experienced divorce attorney is a must before any budget can be set. Should your divorce attorney consult with you about a budget on your case? Yes, your attorney should discuss a budget with you. That is part of any divorce strategy. We do so with every client at our family law firm. While there is no way to predict the total fees you may spend, good planning, preparation and budgeting can go a long way to keep your focus on spending money on issues that matter. The attorneys at Farzad Family Law are ready to help you. Contact us for a strategy session. We have offices in Orange County and Los Angeles. We represent divorce and family law clients in each of the seven Southern California counties. With some preparation and planning, the question how much does a divorce cost doesn’t have to be a daunting one any more. How Do the Best Divorce Lawyers Represent Executives in Divorces? Can a Parent Stop a Child From Seeing the Other Parent? What Must You Know About a Business Valuation in Divorce Cases? What Are the Signs You Are Ready for Divorce?